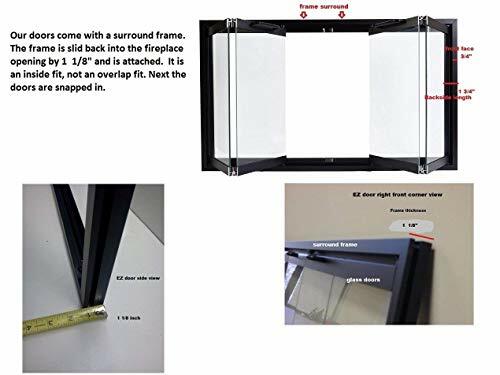 Fireplace Glass Door for Temco Prefab Fireplace 39"
Product prices and availability are accurate as of 2019-04-19 06:48:05 EDT and are subject to change. Any price and availability information displayed on http://www.amazon.com/ at the time of purchase will apply to the purchase of this product. 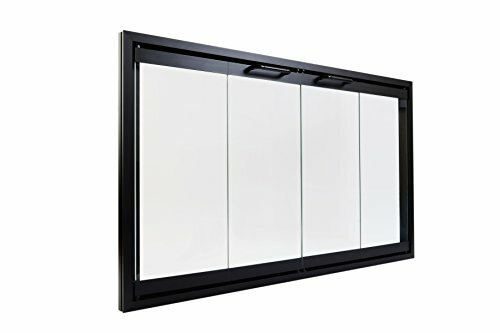 The EZ glass door for Temco prefab fireplaces is truly the lowest priced custom frame fireplace door on the market, yet the quality is anything but cheap - equal to or better than similar doors costing $500.00 or more. 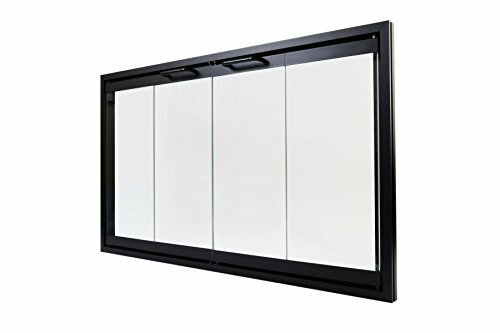 This value packed door looks great and installs easily for years of energy savings and enjoyment. Installs with a screw driver and drill. ** You will not find a better value door for your Superior fireplace guaranteed. If you do not see your model #, please post a question below and we will respond immediately. ** We have been supplying fireplace doors for over 10 years and are a BBB A+ rated company. ** We offer no hassle returns if you should have any problems. Please post question or email with questions...Customer Service Monday - Friday 9am-5pm. 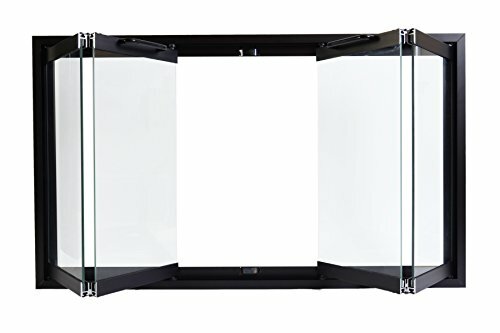 Free shipping - Ships Next business day Black aluminum frame 1 1/8" Width Tempered 3/16" safety glass Bifold Track Doors - opens a full 90 degrees with ease Warranty - against defects in materials and workmanship and glass for a period of 2 years. Glass doors are required to be opened during a fire.